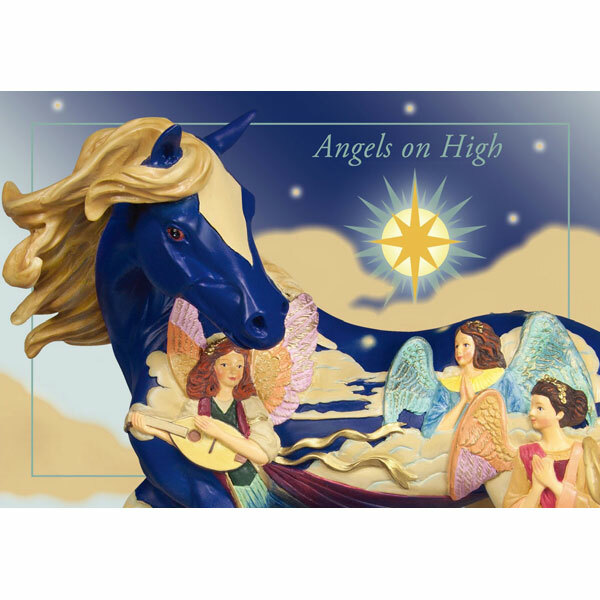 "When I picture angels celebrating the Savior's birth, in my mind I see skies filled with effervescent joy as heavenly figures dance among billowy soft clouds. The air rings with mysteriously beautiful music, while down on earth, the animals sense that something wonderful has occurred. And this pony stops, turns her head into a gentle breeze, ,and pricks her delicate ears to better hear the joyful song of celebration." 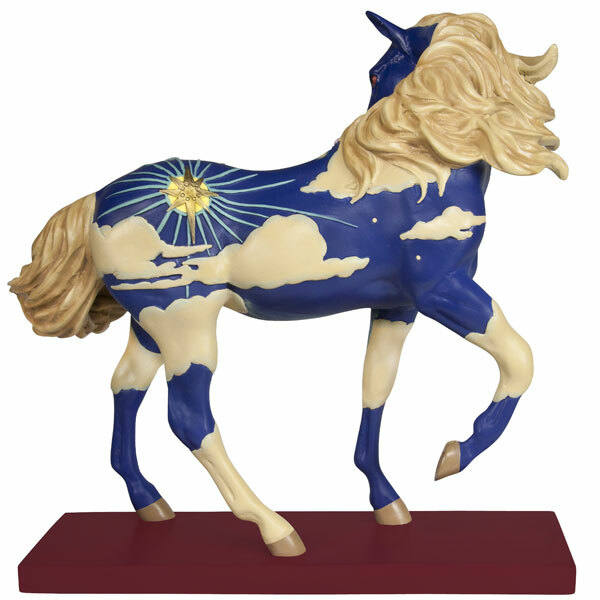 A Standard Edition figurine is an open-numbered casting that comes with a Story Card inside an attractive laminated box that completes the collectability of every Painted Pony.